Buying a property can be one of the most exciting times of your life; it can also be one of the most stressful. It’s not always easy to make all those decisions that you need to make at the time; such as which is the right home loan for you. It’s important to remember to take your time when you are making these decisions as the choices you make have a significant impact on the rest of your life. The problem is that choosing the right home loan has become more and more difficult as the lending industry has become more competitive and harder to navigate through. There are so many different types of home loan out there, including fixed and variable rate and interest only. It can be a good idea to get a mortgage broker on-board if you do not feel comfortable dealing with the banks yourself. Whether you decide to hire a broker, or go it alone, it helps to be armed with some knowledge of the mortgage process. We are going to take a look at some of the things you should be aware of. One of the most important things to remember when you are trying to choose the best home loan for you is that you should always look at the big picture. 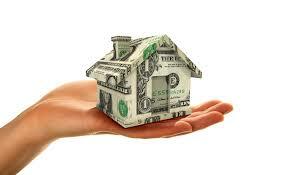 If you are being offered a low interest rate for a loan, often the fees will be high. If you are being offered a lot of features with a loan then you are probably going to end up paying for them with either high fees or high interest rates. This is why it’s important to know what you really want from a home loan before you start looking; what finances you need to be applicable and what features you really need. Home loans are about the entire package and you should consider every aspect; for instance, you may benefit from a slightly higher interest rate if the loan is easier to manage. The other really important factor that you need to consider when you are looking for a home loan is the amount of deposit you can afford to pay. Very few lenders will lend more than 80% of the purchase price. Even if you do find a lender that is willing to lend up to 100% you should be wary of the high interest rates and fees that you might be subject to get the 100%. What all of this means is that you need to be realistic in deciding whether you can afford a property and the home loan that goes with purchasing it. You will not need every feature that you can get in some loan packages, but it is good if you can achieve some level of flexibility. One of the aspects it’s worth looking at is whether you can make additional payments without being penalised; this can come in useful if your circumstances change. Another feature that can be useful is the ability to re-fix the interest rate on your loan. It’s not all about getting the right home loan for you; it’s also about making sure you getit from the right lender. It’s always a good idea to do some research about any lender you are considering. You can check out independent reviews and consider getting advice from people you know who have already used the lender. One of the most important aspects of a lender to consider is their customer service; where is the customer service team based, how big is it, how easy is it to make contact? All of this is really important in case you have any problems in the future, and need their help. Home loans can be really confusing, especially if you are a first time borrower. You need to make sure that you ask the right questions to make everything clearer. When you meet with a lender you need to ask about the fees that are associated with the loan; make sure you state all fees so they cannot leave anything out. You do not want to be landed with massive fees to pay down the line because you did not ask the right questions at the start. These are the main points that you need to consider when you are looking to apply for a home loan. Do not forget that if you find the whole process daunting and confusing if may be worth using a mortgage broker to help.